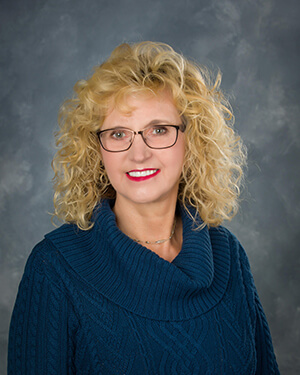 Malinda first joined our team 10 and half years ago, and she has an impressive 28 years of experience in dentistry overall. 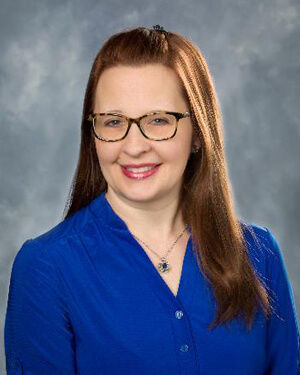 She is a Licensed Practical Nurse and a certified maxillofacial and surgical assistant, as well as a member of the American Association of Dental Office Managers. She’s attended dynamic team concepts training at LVI and has additional education in CPR, radiation safety, and nitrous oxide. Malinda loves seeing patients who are initially very apprehensive about dental treatment leave with a smile on their face and a newfound appreciation for dental care. She and the rest of the team work hard to treat people like family! 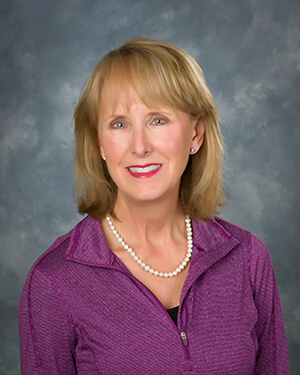 Originally from Wilson, Malinda has been married for 45 years and has four children and five grandchildren – including Dr. Guthrie, who is her first child! She loves having her daughter as her boss. Her other hobbies outside of the office include playing the piano, spending time with loved ones, and watching her grandchildren play sports. Kandi has been a member of our team for one and a half years and counting. 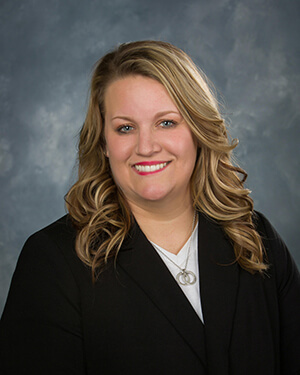 She is originally from Lone Grove and attended Murray State College for two years. Her favorite part of her job is getting to spend time with both her patients and her coworkers. Kandi and her husband have been married 16 years, and they have two sons. Outside of the office, she enjoys spending time with family, shopping, and watching her boys play sports. In fact, you can find her at the ballpark during most weekends! Kim first joined our team 10 years ago, and she has 23 years of experience in dentistry overall. She attended the dental hygiene class at Rose State College and has undergone additional training at LVI. She is certified in laser therapy as well. Her favorite part of her job is the relationships she has with her patients. Originally from Bethany, Kim and her husband have three kids. When she isn’t busy at the office, she homeschools her children and attends church at Fusion Ministry of First Baptist Church of Ardmore, where her husband is a Pastor. She was actually voted “Best Smile” in high school! Gayla has been working in dentistry for an amazing 35 years now, first joining our team 10 years ago. She attended Rose State College in Midwest City and earned her dental education from Rose State Dental Hygiene School. She has received advanced training and certifications in a wide variety of services, including laser dentistry, nitrous oxide, soft tissue management, and more. She loves being able to help patients! Originally from Madill, Gayla and her husband have six children and six grandchildren. Her hobbies outside of the office include spending time with family, being around horses, camping, traveling, watching her husband race, and cruising. 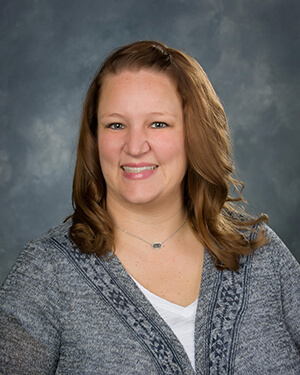 Misti is from right here in Ardmore, and she has 16 years of experience in dentistry and counting. She spent two years at East Central University and attended the Ada Dental Assisting Program. Additionally, she has training in a wide variety of topics, including coronal polishing and topical fluoride, sealants, full moth reconstruction, radiation protection, and more. She loves both her patients and her coworkers! Misti and her husband of 13 years have two children. Outside of the office, her hobbies including watching the kids play sports, shopping, camping, and spending time with family. She also loves baseball! Shantel has been a member of our team for 10 years and counting. 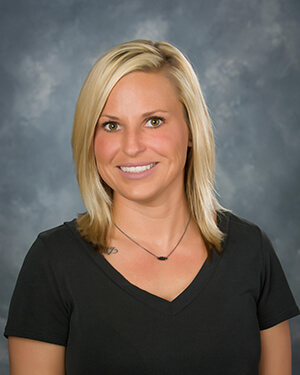 Originally from Madill, she attended Murray State College and has advanced training and certification in a wide variety of topics, including full mouth reconstruction, practical science, predictable techniques, administration of nitrous oxide, and more. What she enjoys most about her job is being able to give patients their smiles back! Shantel has been married for 10 years and has two sons. Outside of the office, she enjoys watching her boys play, feeding cows and riding horses with her husband, traveling, and shopping. She would love to have a miniature farm someday.